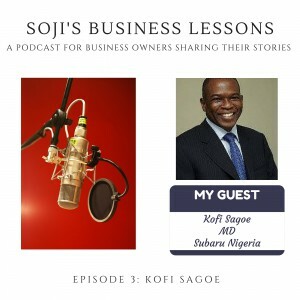 In this edition of “Soji’s Business Lessons” Soji speaks with Kofi Sagoe, head of Subaru Nigeria based in Lagos, Nigeria. Kofi has spent time working with insurance brokers, he has worked in corporate finance and securities trading as well as in the automobile industry, which he has been involved in for the last twenty years. 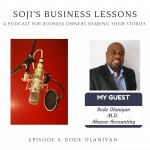 This level of experience is not without wisdom which Kofi shares selflessly in this podcast. 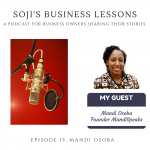 He shares the impact that the global financial crisis of 2008 had on his business and how he overcame them – an experience that really is inspiring for any business facing challenges. 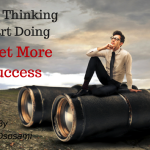 The importance of a business plan (for the business as well as for investors). 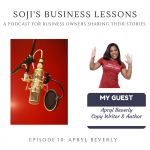 Why passion and vision are important to a business. The real value of entrepreneurship. Great stuff. Kofi shows resilience in his business life which successful brands – this is admirable. 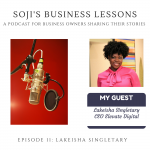 This was a good listen. Interesting and entertaining. Indeed Kaye Olule, Kofi Sagoe’s resilience is truly remarkable – I thank you for thoughts.